Dr. Dash is a board-certified plastic surgeon at the Institute of Plastic Surgery, serving Colorado Springs, Pueblo, Monument, Castle Rock, and Denver, CO. She is the only female board-certified plastic surgeon in the city of Colorado Springs and has 13 years of practicing experience in the cosmetic industry. Dr. Dash prides herself in providing her patients with technologically advanced surgical procedures of the breast and body with a gentle touch. She places an emphasis on creating individual and comprehensive treatment plans for rejuvenation and high-level results that suit her patients' unique needs and goals. Dr. Dash is trained in cosmetic surgery, specializing in the areas of the breast and body. Her consideration of the proper contours of the female body gives her a unique perspective and helps her achieve outstanding results in cosmetic refinement of her patient's natural shape. Dr. Dash’s patients agree that she is extremely kind, comforting, and skillful. Her personality and talent combine to make her a superior plastic surgeon in the Colorado Springs, CO area. Some of the most popular procedures she offers to her patients are mommy makeover, breast augmentation, breast revision, abdominoplasty, liposuction, and labiaplasty. She is also skilled in nonsurgical procedures such as FDA-approved injectables including BOTOX, Juvéderm, Restylane, and Kybella, as well as body contouring treatments like ultherapy and CoolSculpting. Dr. Dash completed her Bachelor of Arts degree from Cornell University in Ithaca, NY. Afterward, she entered one of the elite combined general surgery and plastic surgery residency training programs at Case Western Reserve University Medical Center in Cleveland, Ohio. At the completion of her training, she chose to do a fellowship in plastic surgery at Summa Health Systems in Akron, Ohio to further advance her skills before moving to Colorado and practicing at the Institute of Plastic Surgery. 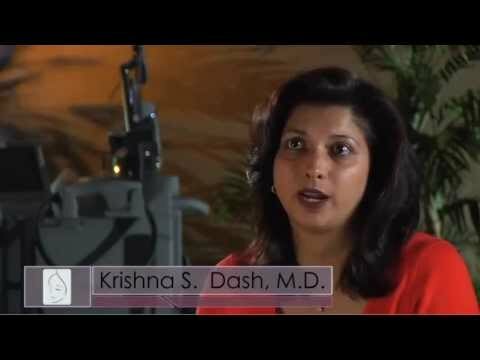 Dr. Krishna S. Dash is a board-certified plastic surgeon with over 13 years of experience that she brings to the Institute of Plastic Surgery.